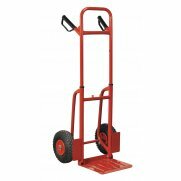 Steel centred pneumatic wheels for easy transport over rough terrain. 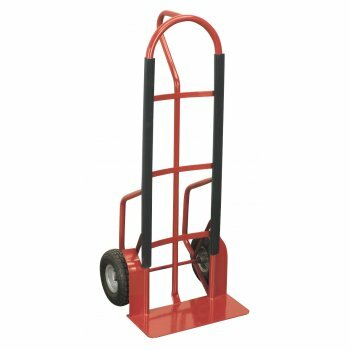 Load protection rails to prevent damage. 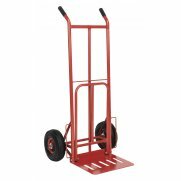 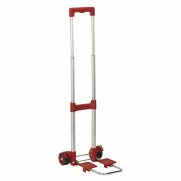 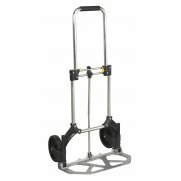 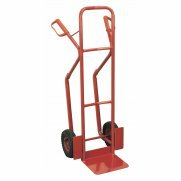 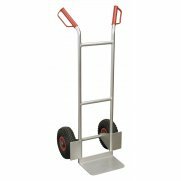 Features P-handle design to improve flat loading and enables one-handed operation.